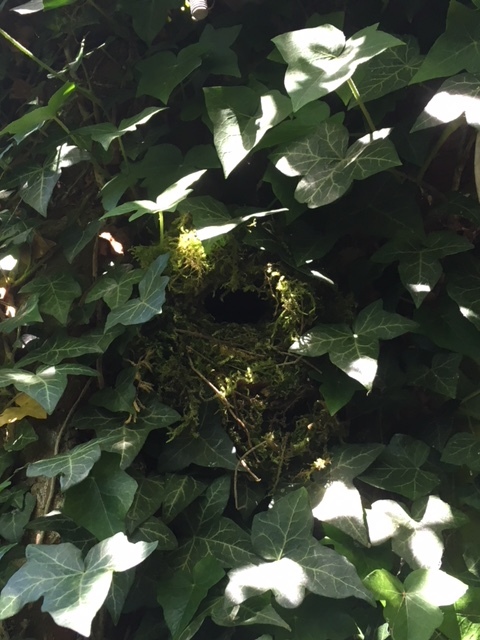 There is an active and busy wren’s nest right beside the kitchen door. 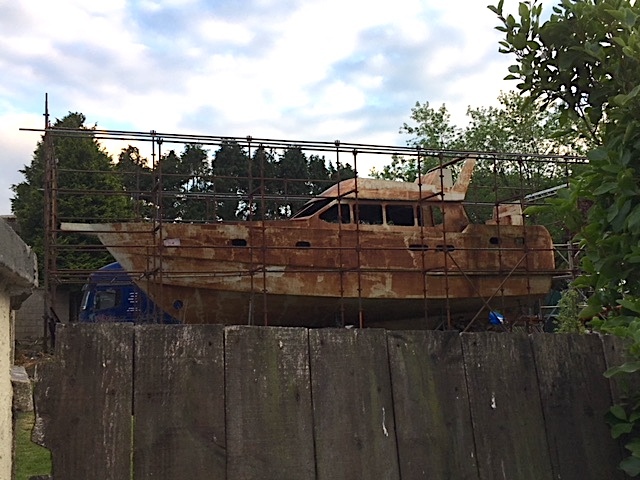 It is well camouflaged with moss and built right into the ivy. It would be invisible if there was not such a lot of rushing and zooming in and out. I am spending a lot of time watching, but all the time that I am watching, I try not to look like I am watching. I am being watched at least as much as I am watching. 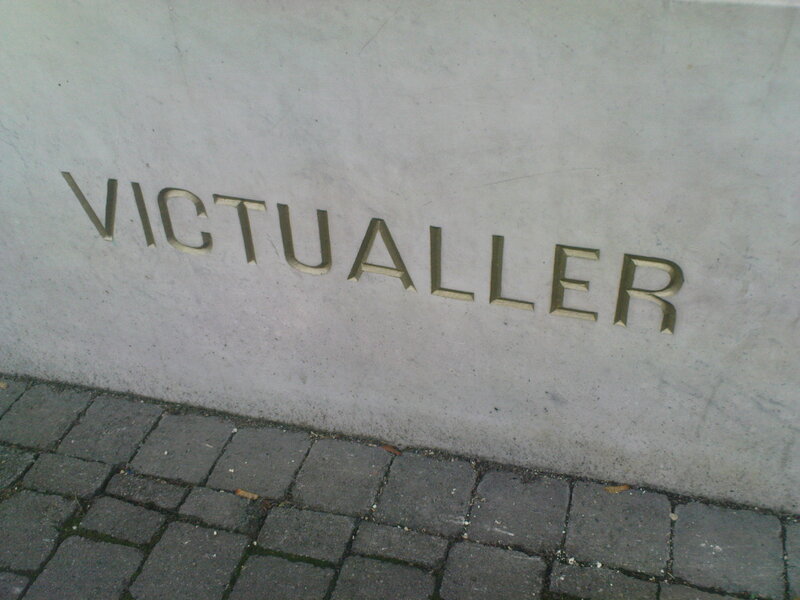 A victualler is a butcher. I love this word. It is specific and mysterious and old-fashioned all at the same time. I never get used to seeing it. I never hear anyone saying it out loud but some butcher shops have the name carved in stone on the front of the shop. A Community Alert text came through saying that someone had broken into the Grange National School over the weekend. The Garda were asking for anyone with information about the break-in to be in touch with them. The vandal or vandals used a big thick black marking pen to draw large pictures of bulls with enormous erect penises. There has been a lot of discussion about the break-in and the vandalism. Mostly people feel sad and disgusted by the damage to the windows and the general lack of respect. But within the discussions there are people who are impressed and maybe a bit proud of the careful and anatomically correct drawings. This is an agricultural community. People feel it would somehow be much worse if the kids with the markers did not even know the difference between a bull and a cow. Yesterday at about seven o’clock, I went up to a gun range in the Knockmealdowns. I have never before been to a gun range. I have never fired a gun. I have no interest in guns. Breda and Greg had rounded up a group of walkers complete with boots and walking poles and backpacks to walk some of the trails and over the river while a photographer took some pictures. I was there out of sheer nosiness, as were several of the other friends. I filled my backpack with bubble wrap. There was no need to carry anything useful or important. It was just an evening stroll. Tommie O’Donnell runs the gun range on part of his eighty acres. He also has sheep and fields of hay. Maybe he has cows too. There are some good walking trails that climb through the forests. He is happy to have walkers going through his land to get access to the mountains beyond. He has set up a bar and function room so that people can have parties with music and dancing. There is plenty of parking. I assume no one would be shooting when the walkers are about but I do not really know. The shooting areas are very carefully divided up and off in special areas. We were shown the target shooting places and some hides as well as a dug-out which hid men like de Valera and Collins during the uprising. We stood around on some slippery stones in the middle of the river pretending to study a map while the photographer took photos. The map was a map of Wicklow but the photographer was not close enough to be able to see that. The photographer told us that he was not a professional anyway. He was only a hobbyist photographer. In his real life, he is a paramedic and he trains other people to be paramedics. He was helping Tommie with the photographs as he is a member of the gun club himself. He enjoys coming out to do target practice with one of his several guns. The photos were for a brochure which is being made to publicize the whole place. We were served tea in the function room before we left as if we had just had a real walk and had worked up real thirsts.